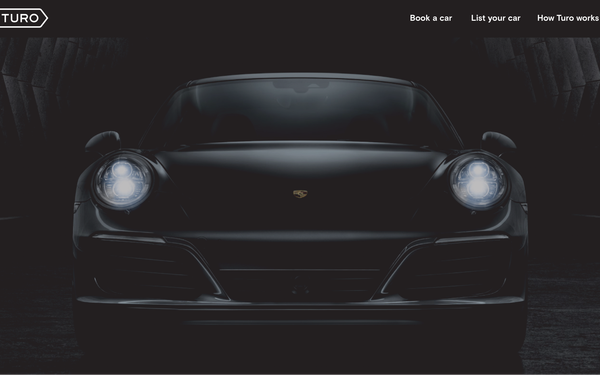 Porsche and Turo are partnering for the Porsche Hosts program, which allows Turo “hosts” -- people that rent out their vehicles on the app -- the chance to give their guests a five-star experience. The pilot program has its own microsite and will be offered in Los Angeles and San Francisco. Los Angeles is the top marketplace in the world for Porsche, and Porsche is the number-one searched car on the Turo app in these locations. The partnership is an opportunity to enhance Porsche trips on Turo and to engage with a massive group of enthusiasts, says Turo CEO Andre Haddad. “As a lifelong Porsche enthusiast, I have personally enjoyed the experience of handing the keys of my 911 to Porsche connoisseurs,” Haddad says in a release. The vehicles are inspected at an authorized Porsche dealership before being selected for the program. Only hosts trained by Porsche at the Porsche Experience Center in Los Angeles -- and specifically selected for their knowledge of the brand -- are eligible for the program. The hosts will guide guests through everything their Porsche has to offer and provide “unsurpassed service to make sure your time with their Porsche is as great as you expect,” according to the companies. There are currently 13 Porsche vehicles available in the program via eight hosts. Rentals include a 2013 Porsche 911, which goes for $176 per day out of San Bruno, Calif. and a 2017 Porsche Macan, which is available for $164 per day out of West Hollywood, Calif. The rental comes complete with Porsche Roadside Assist which offers support in case of issues such as a flat tire or running out of gas.